Mike, a Wyandotte rooster, born in the month of April (year 1945), was an average male chicken living an average chicken life at some barnyard in Fruita, Colorado. On September 10th 1945 this changed. The rooster was no longer a normal male chicken of some random barnyard. It was making news. The second world war had ended and families no longer were required to cut down their consumption of meat. So, a farmer’s wife, Clara Olsen decided to treat her family with a nice meal after the numerous sacrifices made in the second world war. She asked her husband, Lloyd A. Olsen to chase down mike and kill Mike for the night’s meal. Lloyd did exactly that. He took aim and cut off Mike’s head. Normally, like all the chickens make erratic movements after getting cut, Mike with no head on his body started running, spewing blood around too. 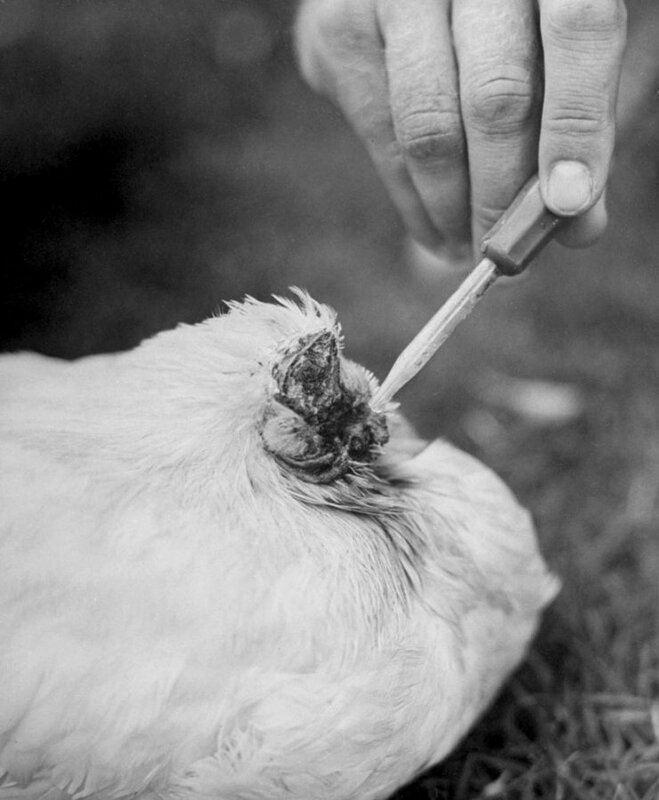 Unlike all the chickens who spurt out blood and no longer have enough of it to remain alive, Mike’s bleeding stopped after a while and he stood up. Now Mike was a headless chicken moving around the barnyard. With no eyes, or even a head for that matter, mike started walking around and running into objects. Soon, Mike adapted to this situation and started living a normal life. Except, he was a chicken without a head. Mike went on to live for 18 months, sustaining on food and liquids that were dropped using a dropper into the hole in his neck. Mike sure had the will to live. Mike was a celebrity now. Life magazine published a piece on him. People from all over the country came around, just to have a look at a live headless animal walking around like nothing had happened. Mike, Mike, where is your head. Even without it, you are not dead! Confused, the farmer took Mike to the University of Utah to get him checked by researchers. It was found that the brain stem at the top of his neck didn’t get cut. He still had the part which controlled his motor functions, and that was, more or less, enough for a chicken to lead a headless life. Basically, just enough to move around and continue normal body functions – like to digest food and respond to stimuli. Even today, Mike has a festival named after him – Mike The Headless Chicken Festival – which is Fruita’s highlight during the year.